For 70 years the diary of the Jewish pianist Cäcilie Lewissohn has languished in the archives. It appears for the first time as a complete German-English annotated volume. As we read we are drawn into the experience of her engaging mind and towards her voice that reaches out to our own. 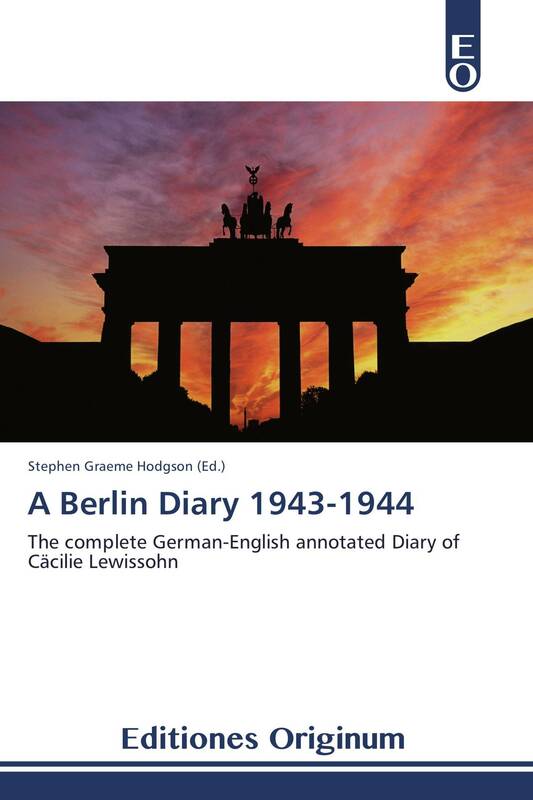 She wrote in what has often been misconstrued through Anglo-American eyes as the “language of the enemy.” Through her mother tongue Cäcilie Lewissohn gives us insight into the hidden identities of Jews living in Berlin. Not only for historians, but also for the historically inclined is this edition intended. The beauty of her native language in its simple and at other times sophisticated elegance will appeal to scholars, students and the interested lay person. Newcomers will be fascinated by her captivating expression of German. It represents the parents and children of the time and all the unheard of witnesses of that terrible epoch. Cäcilie appears no longer as a victim, but emerges as their voice, inviting us to listen.